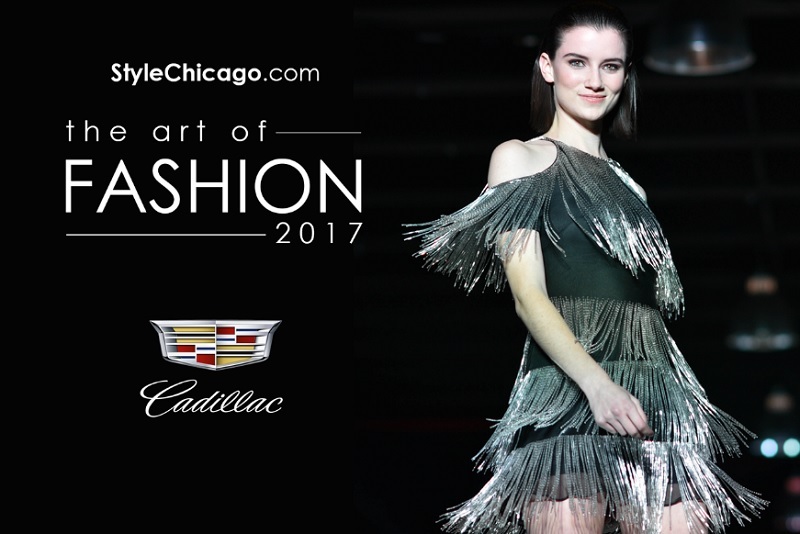 On Thursday, October 19, 2017, join us at Revel Fulton Market for the 11th season of StyleChicago.com’s The Art of Fashion (Runway Show) presented by Cadillac featuring Chicago’s finest designers. The event will again include the 16th season of our FashionChicago® designer shopping event featuring Chicago’s top apparel and accessories designers. • VIP + Goodie Bag tickets range from $75-$150 (Rows 1-6) and include a StyleChicago.com signature Goodie Bag (25+ brands, est. $150+ value). Top Chicago fashion designers including both established labels and emerging artists – SWABY | Shernett Swaby, Ann Everett, Borris Powell, EwelineB, Ellie Day, Gidi, Heidi Hess, Idrine Bishweka, J. TOOR and more. All tickets include 5-10pm access to Red Carpet photos, cocktail reception and FashionChicago® designer shopping & Official Post Party. Aruba Aloe * Bliss Spa * Dial * DM Luxury Lifestyle * Dr. Hauschka * Escentric Molecules * Essance * HASK * Honest Tea * InstaNatural * Jane Carter Solutions * Juice Organics * LIFEWTR * LUNA Bar * Real Techniques * Shea Terra * Tantowel * Tend Skin * Yu-Be * Z. Bigatti…and more! StyleChicago.com’s The Art of Fashion (Runway Show) and FashionChicago® are produced by StyleChicago.com and INV Marketing Group. See images from last year.